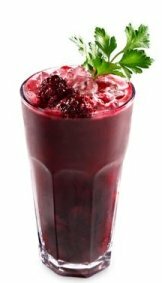 The benefits of beet juice are many and so numerous that I think you will be drinking in their nutritive wonders after reading this page. Here are some nutritional values of beets. Beet roots are rich in vitamins A, B1, B2, B6, folic acid B12 and C. Some of their many mineral properties are folic acid, potassium, calcium, sodium, magnesium, iron, phosphorus and many antioxidants. 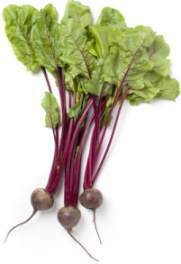 The pigment betacyanin, which is responsible for the beet's deep, red-magenta color is a powerful antioxidant. Beets are a very nutritious vegetable. 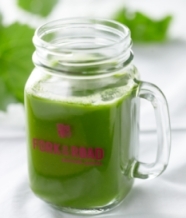 The green, leafy tops are super for salads and juicing as they contain more iron than spinach. They have an abundance of vitamins A and C, chlorophyll, calcium, potassium, and iron. Anemia - Beets are rich in iron, which is easily assimilated by the body. They build up the hemoglobin and cleanse the blood. Antioxidant - The deep, red pigment betacyanin is a powerful antioxidant and protects against several types of cancer. Cholesterol- One of the health benefits of beets is that eating them can help lower your LDL cholesterol. Colon Health- Beets are full of fiber, which helps to move wastes through the intestines and helps to prevent constipation. Also, the antioxidants found in beets protect against colon cancer. 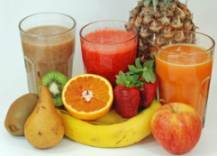 Eye Health- Traditionally, beet root juice has been use to improved eye health and fatigue. Heart Disease - The abundance of vitamins and minerals in beets helps to protect against heart disease. Inflammation Reduction- The compound called betaine found in red beets can reduce inflammation in joints, bones and blood vessels. This reconstruction in inflammation helps those suffering from asthma and osteoporosis. Liver- Beets are helpful in detoxifying the liver. Stamina Increase - Drinking beet juice can increase your workout time by causing a reduction in the uptake of your oxygen, thus increasing your stamina. The natural and unprocessed abundance of carbohydrates found in beets are an excellent source of energy for your body. My friend, Mary Jane got interested in juicing beets after reading about the benefits of the mini beet protocol. Whether or not you follow the mini beet protocol, realize that before juicing beets you will only need a small beet or only a part of a larger beet per serving of juice. 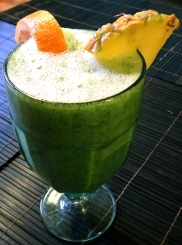 Use apples, carrots, celery, lemons, cucumber etc., for the rest of the juice. 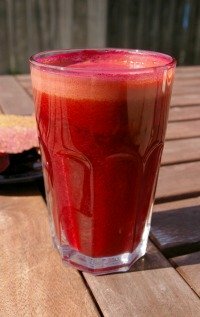 The benefits of beet juice are great, including it is a very powerful cleanser and blood builder. So much so, that you should be aware of some potential side-effects before you start drinking an abundance of beet root juice. The main side effect of beet juice is beeturia. This simply means it can change the color of your urine to pink or red. There is nothing harmful about beeturia. Avoid high levels of beet juice, especially if you have gall stones or kidney stones. High levels of beet juice can actually increase the incidence of these stones. Always drink beet juice in moderation, no more than1-2 ounces per day OR make sure your beets are organic and mix your beet juice with the juice of other fruits and vegetables.